Stop avoiding the dentist! Make dental care a priority and enjoy a healthier, prettier smile. 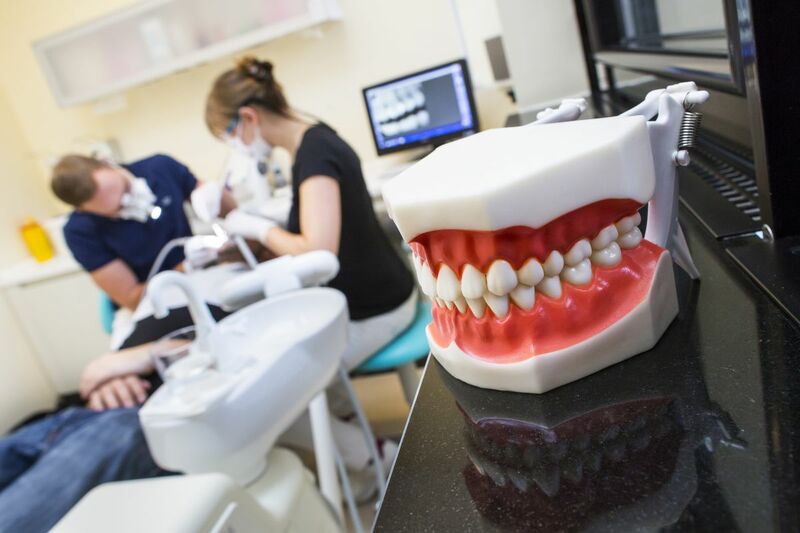 According to recent studies, nearly 40 percent of adults over age 18 have not visited the dentist this year. This might be due to a lack of funds, lack of transportation or access, or to a simple feeling that going to the dentist isn’t that important. The truth is, visiting the dentist regularly can have a huge positive impact on your life. Here are 5 reasons why you need to make visiting the dentist a priority. Tooth decay and gum disease are the leading causes of tooth loss in adults. The good news is that both of these problems are not only treatable, but preventable. If you visit the dentist for annual cleanings, you can get help controlling the plaque and tartar that would otherwise build up and potentially cause infections that could lead to tooth loss. Even if your teeth are already damaged, they could be saved by visiting the dentist for fillings or a root canal. Many people postpone visiting the dentist until they are in severe tooth pain. Meanwhile, the pain has been building up, causing discomfort and distractions that can interfere with school or work performance. Rather than waiting for conditions to become painful and distressing, it would be better to stay on top of your oral health on a regular basis and nip problems in the bud before they become painful. If your teeth have cosmetic issues like staining or misalignments, a skilled cosmetic dentist can help. Professional whitening or veneers can be used to reduce the appearance of stains, while braces or Invisalign can correct misalignments. Plus, by getting regular dental cleanings and taking care of your teeth at home, you can actually prevent staining from taking hold in the first place. Many studies have shown a link between oral health issues and other serious medical problems such as heart disease, diabetes, and Alzheimer’s. It is in your best interests to visit the dentist for help maintaining good oral health if there is even a small risk of your dental problems affecting your overall health. Many people make the mistake of thinking that by skipping a dental cleaning they are saving themselves some money. The truth is that failing to get proper preventative care can lead to the development of serious dental problems that may be very costly to correct. In the long run, it is typically more cost-effective to get regular dental cleanings so you can catch and correct problems early. DH Dentals complete dental checkup which includes full oral exam, digital xrays, treatment planning, & patient education is for rs 2000 only – avoid painful and costly dental treatment by getting regular checkups from DH Dental today! Call 0322.336.8251 or visit www.dh.dental for more information. In "Dental Checkups" , "dental clinic" , "dental practice" , "dental tips" , "DH Dental" , "Doctors Hospital Dental Clinic" , "Implant Dentistry" , "Root Canal" , "Teeth" , "Tips"
4 Myths About TEETH SCALING – Busted!